Exquisitely styled and lavishly appointed, our accommodations define refined luxury. 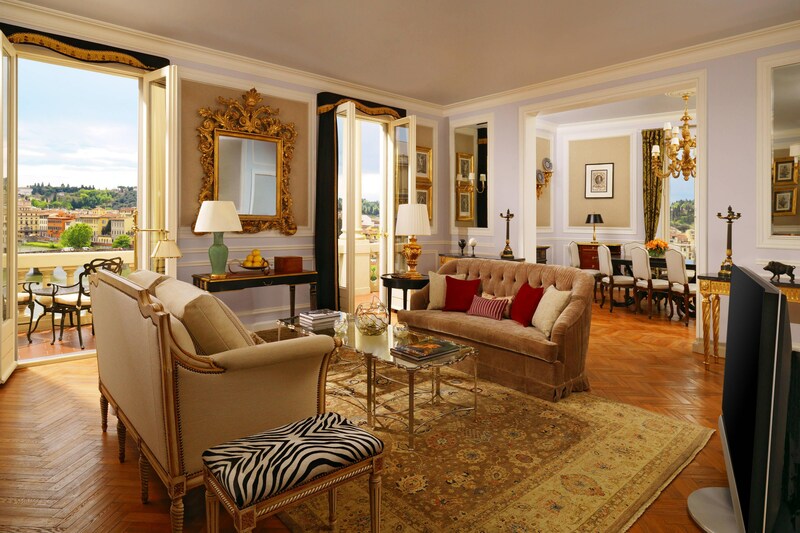 Timeless elegance and personalized hospitality fill these spacious rooms and suites. 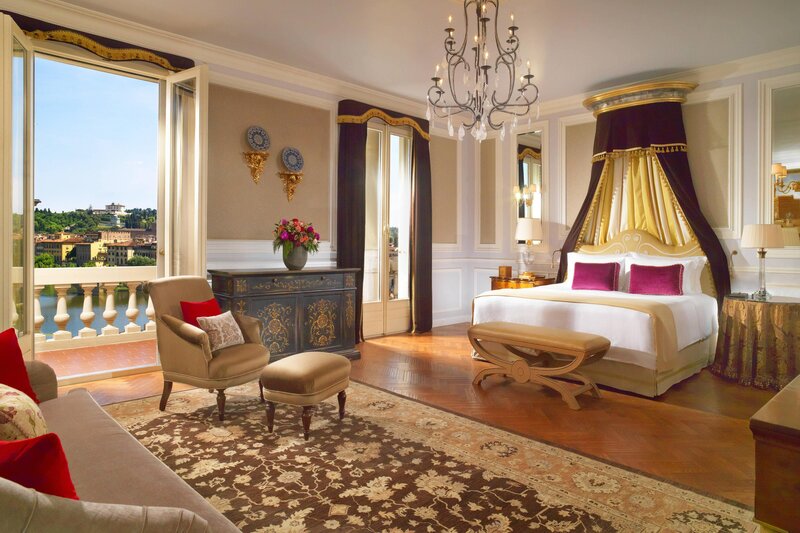 A masterpiece of exclusive living in the sumptuous front of the prestigious Renaissance palace, offering unique artworks and uncompromising views of the Arno river. Catering to all appetites, authentic Italian cuisine is available in the privacy of your room or suite.